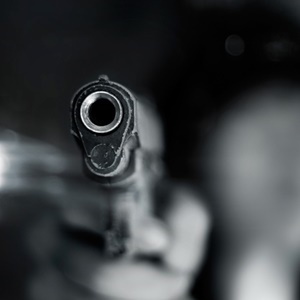 A middle-aged man, popularly called A'Boy, was shot by gunmen at about 6:30 p.m. on Thursday at Ibusa Junction area of Asaba, the capital of Delta State. Everything was fine until one Keke (Auto Rickshaw) showed up. Broad day light killing, the kind that leaves the legs shivering and the heart pumping uncontrollably was witnessed in Asaba on Thursday. A'Boy was the popular name of the middle-aged man that laid in the pool of blood on the road after several gunshots were heard. He laid lifeless and everyone passing wanted to catch a glimpse of the crime scene, that appeared more like an assassination. It was about 6:30 p.m. when the killing happened at Ibusa Junction in Asaba, the capital of Delta State. Traffic began to build along the Nnebisi Road, as more and more vehicles slowed down to see what had happened. Horror and scare could be seen around the area, as traders hastily packed up, locked up their stalls and ran for fear of being attacked. The News Agency of Nigeria quoted eyewitnesses as saying that the assailants came in a try-cycle (Keke), shot the man on the head at close range, fired sporadically into the air to scare people and fled the scene. Police patrol team from the State Police Command later restored normalcy to the area and took the body away, they said. When contacted, Delta Police Command's spokesman, Andrew Aniamaka, said the command had not been briefed of the incident at the time of reporting.